GM Alireza Firouzja won the first Bullet Championship qualifier. | Photo: Maria Emelianova/Chess.com. GM Alireza Firouzja of Iran emerged victorious from an unsurprisingly difficult field on Wednesday, which saw some of the best bullet players in the world battling it out for a spot in the Bullet Chess Championship main bracket. You can find more information on this exciting new tournament here. That is, unless he is able to conquer the field yet again in Swiss Qualifier 2 on Thursday, April 4 at 12 p.m. Pacific time (21:00 Central Europe) to have his choice of qualifying seeds. These matches will be shown live at www.Twitch.tv/Chess and www.Chess.com/TV. Alireza Firouzja broke the Chess.com bullet rating record during Wednesday's qualifier and is currently the top-rated bullet player on Chess.com. After getting off to a hot start and gaining a two-game lead over his nearest challenger, the bullet aficionado ran into connectivity issues in round 18 vs. IM Mykola Bortnyk, which appeared to affect his performance over the next several rounds. Despite a loss in the final round, he was able to finish the tournament in first place and claim a spot among some of the elite bullet players in the world. Winning entries into Friday's round-robin qualifier were GMs Andrew Tang, Jan-Krzysztof Duda and Georg Meier, who finished in second, third and fourth place respectively. You can find the results of all games from the Swiss Qualifier 1 here. During the tournament, Firouzja reached a peak bullet rating of 3313, which set the record for highest Chess.com bullet rating of all-time, nine points higher than Magnus Carlsen's previous record. Firouzja came back down to earth eventually, finishing the tournament with a rating of 3246, nearly in line with Nakamura's rating of 3230. Nakamura and Firouzja have met on numerous occasions on Chess.com where their current bullet head-to-head record narrowly stands in favor of Nakamura by nine wins to eight since the beginning of February. Currently, Firouzja is slated to meet top-seeded Nakamura in the first round of the Bullet Chess Championship main bracket. 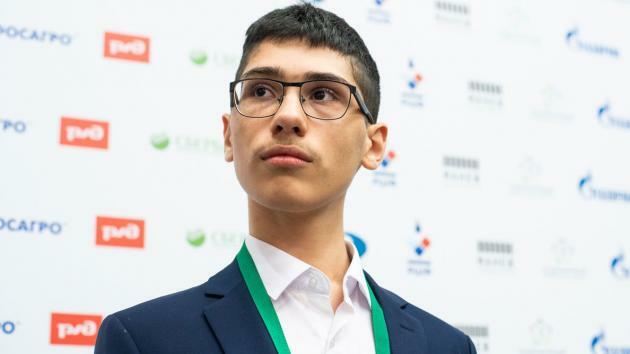 With a spot in the main bracket booked, the 15-year-old Iranian may wish to play in Swiss Qualifier 2 in order to give himself the option of playing on the opposite side of the bracket. Regardless of where he ends up, this up-and-coming star is bound to make a splash in this year's Bullet Chess Championship. Action continues Thursday, April 4 at 12 p.m. Pacific time (21:00 Central Europe) with the second of the two Swiss Qualifiers. Tune in for another exciting tournament at www.Twitch.tv/Chess and www.Chess.com/TV.